This section should be where you are going to plan out your entire system before you build it. It doesn't always work out this way and you might find yourself coming back and changing things as you actually code your project. It is not recommended to write the design before you have done some coding. From your Analysis you should have an idea of what you are going to produce and have sourced some text books to get you started. Complete a couple of simple example programs before writing your Design, this way you'll have a better idea of the capabilities of the language you are using. And remember, don't be afraid to come back and change things! To get full marks you should aim to write something about all of the following. Some projects won't require all sections, for example you might not have a database and therefore have no need to include SQL. It's always best to check with your teacher about what you need to include. Input - these might include various types of human interaction and loading data from external sources such as databases, web feeds, scientific instruments etc. Process - this is the important bit. What are you going to process, what is it going to calculate? Storage - this will record all the ways that you are going to store data, it might include database table names, structure names and external files such as xml and csv. Output - What will the end user be given, what will be output to the screen? When you design your system you need to split it into smaller components. Like this book having different chapters about different things, your project should have different parts (modules) that do different things, but when they are combined they make up a complete whole. There are two ways to split your project into modules, one is code based and the other is form based. Ideally, your project should be using both methods. Even better than this you could draw a nice diagram on how everything links together. Incredibly similar to your Analysis. If you haven't made any changes since then and it is normalised, just copy the data into here. You'll have to do a little more work in a second on the validation areas. Write down how the values are to be stored while the program is running and what data needs to be stored long-term, is the data to be stored in database tables or files? If you are saving anything to text files or XML files mention here how those files are organised. If you are using records or structures in your code mention them here and how they work. Datatype Checks that only a certain data type is inserted into a field. Such as a date or an integer date of birth 18/02/97 13/13/13 or "clot"
Most of these validation checks are built into database packages, so if you create a database and then use a development suite to create the forms, the validation will be built into the forms automatically. If you don't have this privilege, you'll have to hard code it. That of course will come in the Technical Solution stage. Let's take a look at our original garbage data, did we manage to use validation to stop all the nonsense getting into our database? First Name Presence make sure name is a sensible length and present Please insert a name Peter8 No, we can't catch people being purposely malicious, you could try and code some checks but beware of the 'Scunthorpe problem'! For your report you need to write a table like the one above, though you can omit the last two columns. If you are making a database you need to write about the SQL that you use to SELECT, INSERT, UPDATE and DELETE things from your tables. 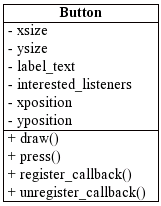 In some cases you might also be writing the code behind making the individual tables, the data definition language. In fact those headings are exactly what you need to use. Note: If you are not using a SQL server (for example, using MySQL with PHP) you may need to use `backticks` instead of square bracket notation. This SQL statement adds a new high score along with the date the score was achieved for a users account. This SQL statement updates the date of birth of a user, after they have updated the form that launches when they first log into the program. This is quite easy if you remember the hardware section of Unit 2. You must recommend how your system will be distributed to and then run by the user. You need to start off by calculating how much space the program will take up to distribute and how much space it will take up when it is running. Distributing your software will require that you transmit the data to the user somehow. This could be through a CD-ROM, USB drive, DVD-ROM or internet connection. Why would you pick each? Which would be most suitable? Think about security, speed, having a backup, size of files to transmit. Running the system will in most cases require the user to be able to write new files to your system, saving high scores, new purchases etc. How big will the system feasibly get? You need to recommend something that will allow the user to read and write to, something that is secure and reliable, and something that will be big enough and fast enough to handle everything. A CD-ROM would not be suitable here, why? Hard Disks could be suitable, why? This code takes the username and password input by the user and then checks them against the login details stored in the login file. In all projects you will have some form of user interface, in nearly all cases this will be a GUI. This section actions you to show and explain the methods that you are going to capture data (inputs), and the ways you are going to display/print out data(outputs). Notice in each case it says sample, so you don't have to show how every form/printout will look, 4 examples of each should suffice. You could hand draw each, or draw them using an arts package like inkscape, alternatively you could design them in a package like Visual Studio and use the design views of the form. DO NOT use screen shots of the final code running, we need to see your designs. You can do this by annotating each screen shot. the game screen showing points health etc. Using the same rationale as the previous section you must complete annotated versions of these. Security and integrity are slightly different things. Security means preventing unauthorised people accessing areas of your work. This might include students accessing each others marks for a test, customers accessing other customers' details, students accessing the marks to a test or anything that conflicts with the data protection act. To do this you need to implement security systems such as usernames and passwords, access rights and restricted areas. You might have certain buttons and areas that only appear for certain users. If they are restricted users there will be parts of your system that they won't see, and for the admin user, they should be able to see everything. Integrity is making sure that your data doesn't 'corrupt'. This means making sure that certain bits of data always take on the correct format or don't violate certain rules. For example, if you had a date of birth, you wouldn't want people to be inserting their name in that field. How do you do this? With validation rules. Write about them here. You might also want to make sure that your database maintains its referential integrity. This will prevent people linking to records in other tables that don't exist. Talk about how you would do this. You don't want unauthorised people gaining access to your data. This might include stalkers trying to find out personal details stored on your system, students trying to cheat etc. You might recommend that the end user keeps data in secure locations or behind operating system passwords. Or that there is a main password to get into your system. You should also mention how the system will be recovered in the circumstance that it becomes corrupted or lost. Mention the method by which you will recover the system/reinstall etc. There are several different ways that you could test your system. This section asks you to consider each and mention how you are going to test your system with regard to each. Don't just describe each, you must talk about how you will use them to test your system. This is a great way to find and fix problems. You should try to pick two or three of your most complex pieces of code to perform a trace table upon. By using this you prove that the code works. This page was last edited on 28 March 2019, at 10:03.